Pendant that combines oxidized sterling silver and 18k yellow gold from PAPER collection. You can carry them separately and enjoy two differents pendants. Accompanied by stainless steel 3-strand necklace (16" in length) and sterling silver clasp. approx. 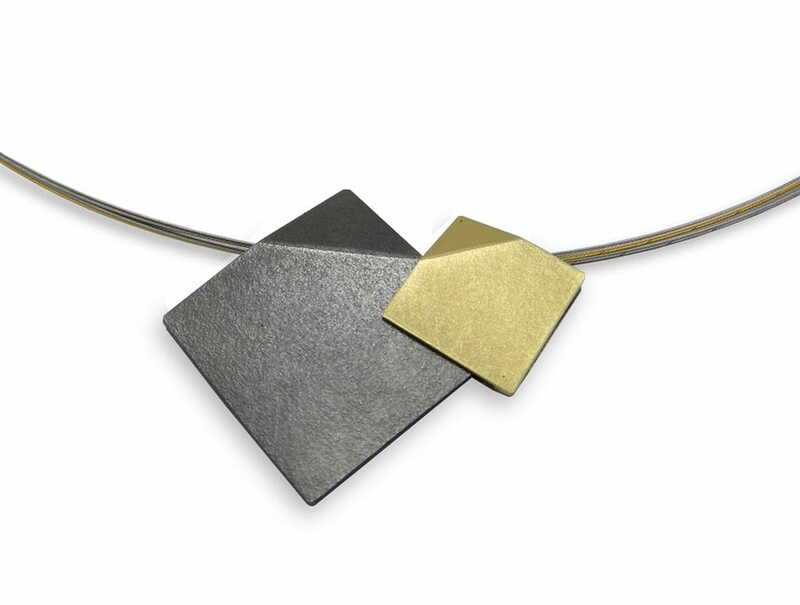 measure : oxidized square 15/32" and yellow gold pendant 25/32" for side.